Liquidating the real estate of Juliette Espersen including real estate, car and all personal property. Parcel #1: 2 Acres with house on Rt. 394 w/250' Rd front. House: Two (2) story frame house w/4 bed, 1 bath, full basement, detached 1 car garage, private sewer & water with lake view. Parcel #6: 2 Acre irreg lot off Bly Hill Rd. w/20' access. Terms of Real Estate: $ 2K to $ 5K down payment per parcel in cash or check. 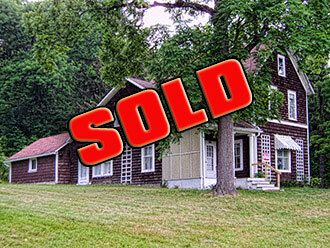 Properties sold “As-Is” w/ no liens or conditions and subject to owner confirmation. 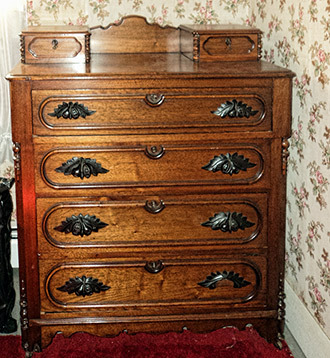 Furniture: vintage s curve roll top desk/excellent condition; early painted wainscot cupboard 31” x 7’; beautiful depression era bedroom set/inlay/curved front/dbl bed/dressing table w/mirror w/needlepoint stool/5 drawer chest/2 drawer night stand/good condition; depression era mahogany bedroom set/dbl bed/8 drawer chest w/glove boxes/dressing table w/mirror; wonderful walnut chest w/carved pulls/glove boxes/backsplash; mahogany depression era dining room set/4’ 10”sideboard/table/4 chairs; early Jamestown Royal mohair sofa, matching chair and barrel chair w/tufted back; Danish modern style dining room set/47” round table w/leaf/4 chairs/glass door china and sideboard; oak drop-leaf breakfast table/20’s-30’s; needlepoint rocker; feudal oak side chair; drop-leaf coffee table; assort 40’s-60’s occasional tables; antiqued dressing table w/mirror and nightstand; 29” rd glass top metal table w/2 metal chairs; hall tree; recliner; matching upholstered swivel chairs; double pedestal office desk and chair….